Even a perfectly paved asphalt driveway will wear over time, causing cracks to appear, striping to fade and uneven surfaces to develop. The asphalt driveway repair and maintenance experts at A-1 Asphalt Inc can handle any size residential driveway maintenance project — while saving you from costly resurfacing expenses. 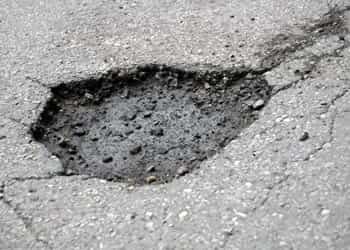 We take great pride in our asphalt maintenance and asphalt repair capabilities and our repair technicians will complete the job right the first time. Preventative maintenance will prolong the life of your asphalt driveway. Proper preventative maintenance is essential to maximizing the life of your asphalt driveway. Our asphalt maintenance company can handle all of your driveway repairs, including crack filling, sealcoating and patching. Using state-of-the-art equipment, high-quality materials, skilled professionals and the newest application techniques, we can ensure that your asphalt driveway repair project is completed correctly and on time. Choosing to use our preventative maintenance services for your asphalt pavement will allow you to avoid costly resurfacing or replacement expenses and maximize the life and aesthetics of your asphalt surface. The skilled and experienced professionals at A-1 Asphalt Inc will add life to your asphalt driveway pavement and lower your costs over time.